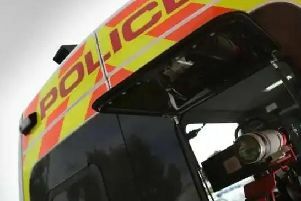 A young Warsop man was over the limit when his car drifted across the central line and hit an oncoming vehicle, a court heard. Ryan Bingley’s Vauxhall Corsa collided with a Range Rover on Mansfield Road, Warsop, on the morning of December 1. “He initially left the scene but returned a short time later,” said prosecutor Ann Barrett. A test revealed he had 55 microgrammes of alcohol in 100 millilitres of breath, when the legal limit is 35 microgrammes. Bingley, 23, of Ocean Drive, Warsop, admitted driving with excess alcohol when he appeared at Mansfield Magistatres Court, on Monday. He was banned for 16 months, but was offered a drink drive rehab course which will reduce the length of his disqualification for 121 days if completed by October 2018. He was fined £400, and was ordered to pay £85 costs and a £40 victim surcharge.